If you're leaving home in the morning and are going to get home tired from work, you need some easy crockpot recipes. This one is great. It's made using chicken thighs, an economic choice. Chicken thighs are juicier than chicken breast so they are generally more forgiving despite which cooking method you choose. A lot of people also prefer the juiciness and succulence thighs have to offer over breast. For the sauce, we are mixing honey, soy sauce, ketchup, basil and garlic. The ingredients combine very well to make a well-balanced sauce which combines sweet, savoury and aromatic for a really great result. Because the crockpot is sealed, the liquid will not evaporate. This means it's fine to just leave it cooking all day, even if you aren't at home. The chicken won't dry out. If you wanted to use chicken breast here, rather than the thighs, of course you could. In fact, you could even use pork or turkey for a similar yet different result. 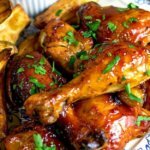 Chicken tends to be very neutral, which is why you can find more sauce recipes for chicken than for any other protein. 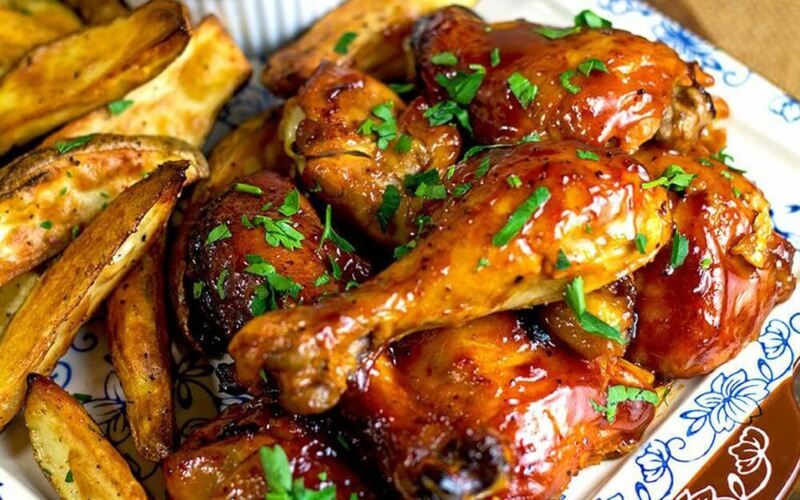 Try this recipe anyway and see how you like the sweet, sticky sauce. Try this over rice, mashed potatoes or even with fries. Noodles would be another possibility. This recipe makes enough for four people. 1. Put the chicken in a 4-quart slow cooker. 2. Mix the honey with the soy sauce, ketchup, basil and garlic. 3. Pour this sauce over the chicken. 4. Cover and cook on low for 6 hours.